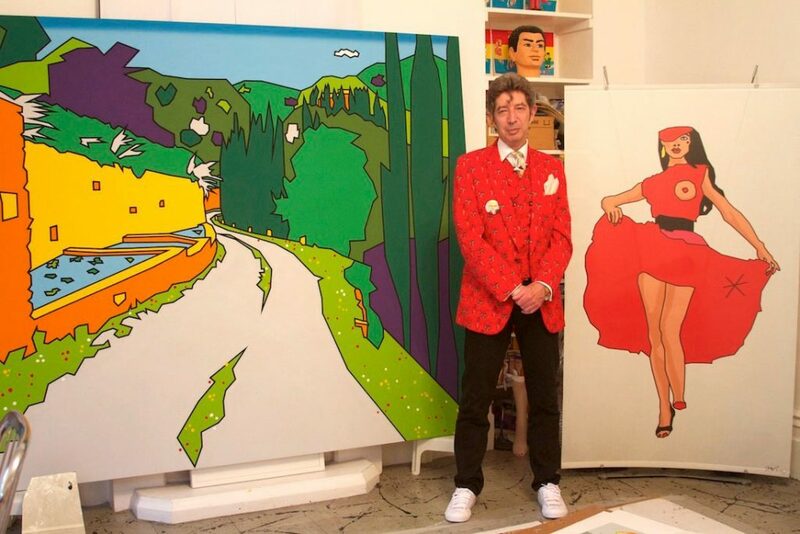 “Everyone has the potential to become an artist“ says Duggie Fields. Given the right timing and a little bit of luck, one also gets the chance to present his work. In Duggie’s case, this was a success. He grew up in the countryside and came to London in the sixties. He worked there in a record store, studied architecture and art. In the melting pot that is London he saw the Rolling Stones performing in clubs even before they signed their first recording contract. He shared his apartment in South West London with a number of other artists and musicians as well; among them; Syd Barnett from Pink Floyd. Duggie does not however wish to focus any one style of music. Blues, Soul and Rock have however left an impression on him. Music and fashion were always inspirations for him. Duggie regarded art and museums as something from the past at that time. Style was “on the street“ in swinging London. As a means of self-expression and of defining his personality, Duggie started creating badges and T-Shirts inspired from his own artwork. He later sold these items in the well known Dover Street market. Rei Kawakubo, the creative founder of Comme des Garcons, built Duggie’s artwork into her fashion shows. In the 80s he was very big in Japan. Duggie gets inspired by the way other people dress themselves. He himself selected the colors red and orange as his favorites. For a while he wore only red jackets and suites. 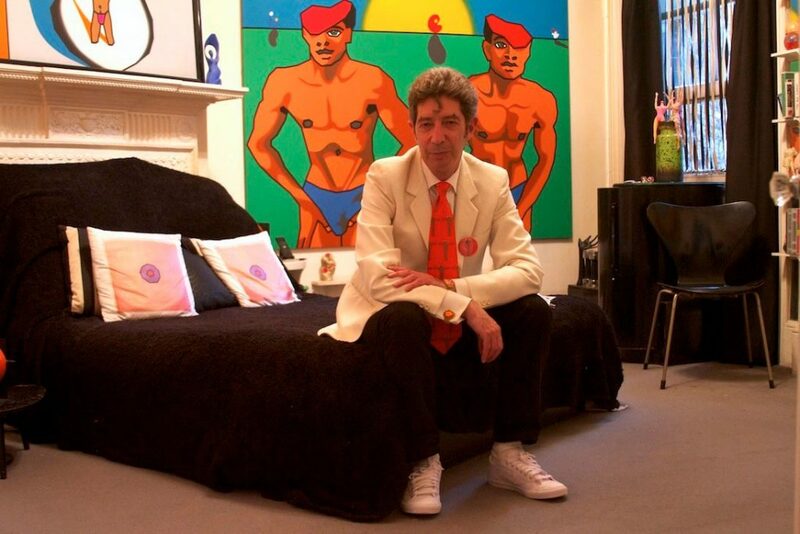 Another trademark for Duggie Fields are definitely the white shoes. He is wearing them in order for his feet to contrast with the floor. This gives him a good feeling whenever he looks at the floor from above. 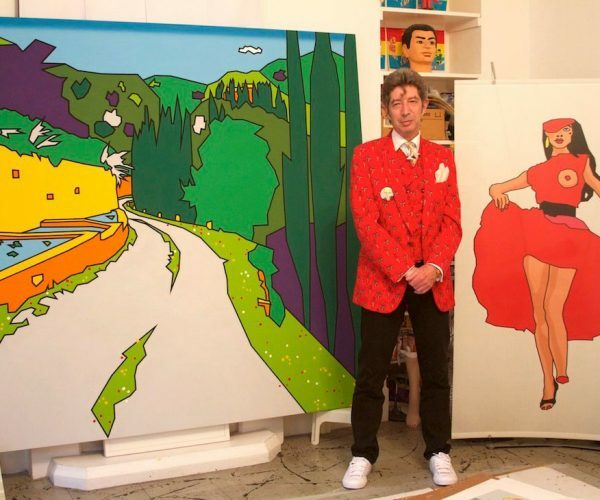 His paintings are full of intense feeling. Some of his pieces are portraits of some of his friends, but nature with all of her facets, are some of the main themes. His small balcony, which is part of his apartment that serves as an artist’s atelier, is one of the greenest in Earls Court. Direct in front of his apartment are tall trees. Duggie strolls through London from his Earl’s Court apartment. He captures his experiences during these strolls with his camera and shares it with others on his Facebook site, Duggie believes that the best time to visit London is in June. Just around the corner where he lives is the famous Earls`s Court Exhibition Center. The home of fairs, concerts and award ceremonies. Now this is in danger and Duggie is doing his part to save this historic site. Therefore on Saturday, 26 th October he is taking part at the “I love Earl’s Court” event. 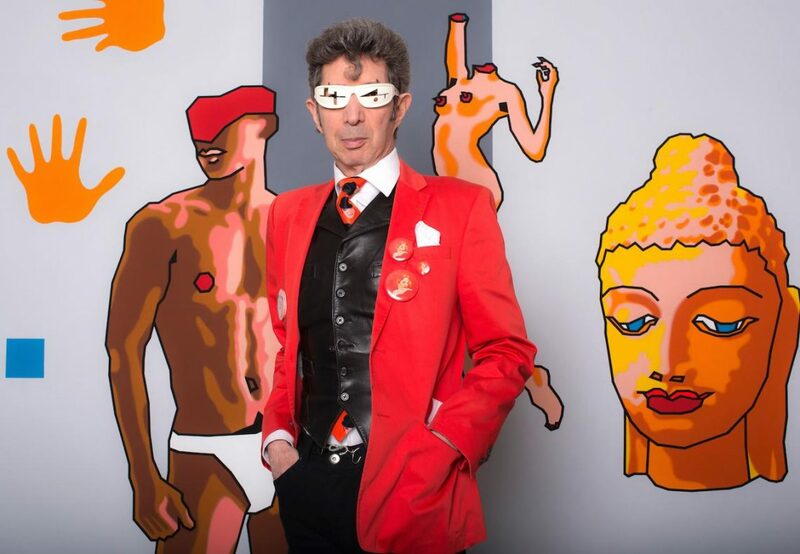 The first London previews of his “So Cool” video will take place there and Duggie Fields will also be signing a limited edition of his “I love Earl’s Court” posters to raise fund for the campaign to save Earls’s Court. More information can be found online. 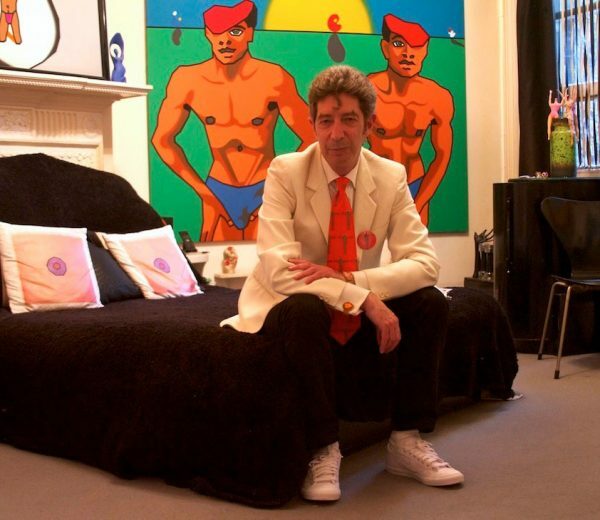 For more information on Duggie’s art see his website.